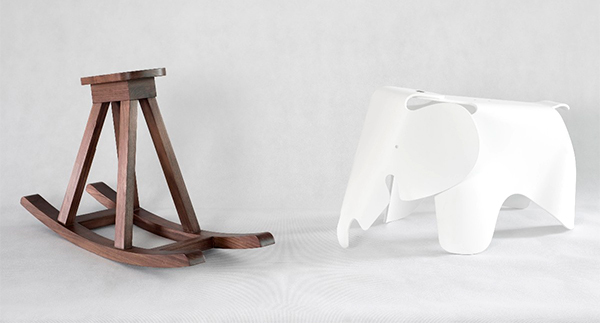 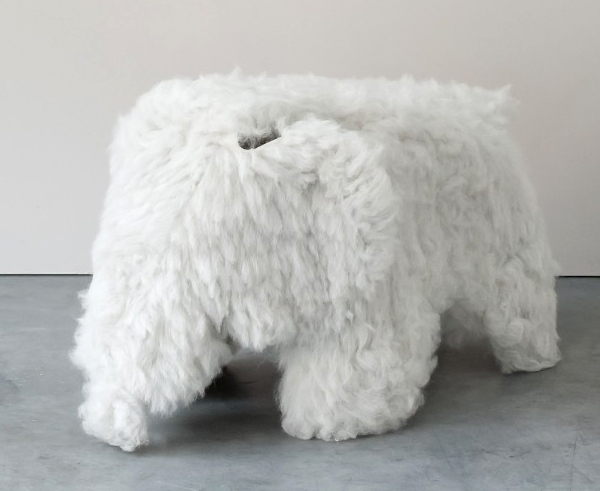 From André Klauser mixed the iconic Eames Chair Rocker legs with the elephant - beautiful! 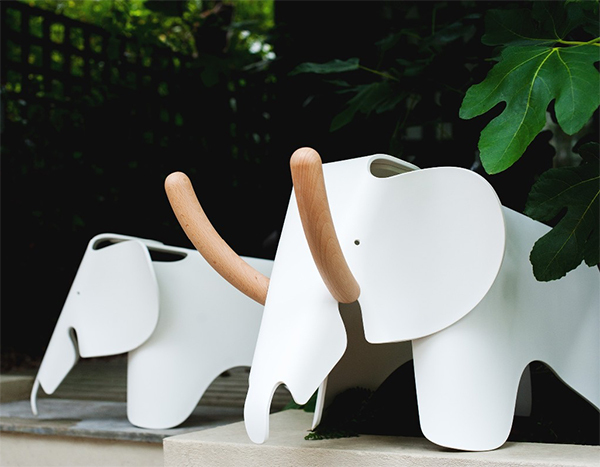 Industrial Facility added wooden TUSKS! 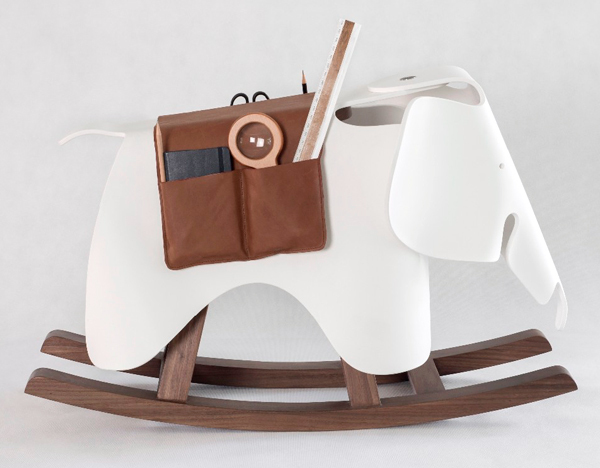 My favorite of the bunch is definitely neri&hu’s variation that adds a removable wooden rocking base as well as a leather seat pad that can also hold your tools! 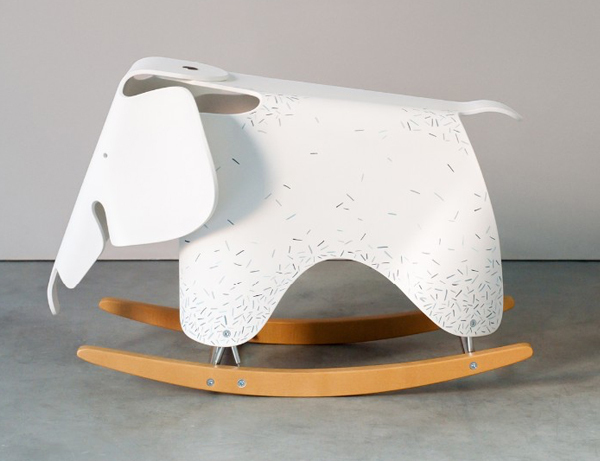 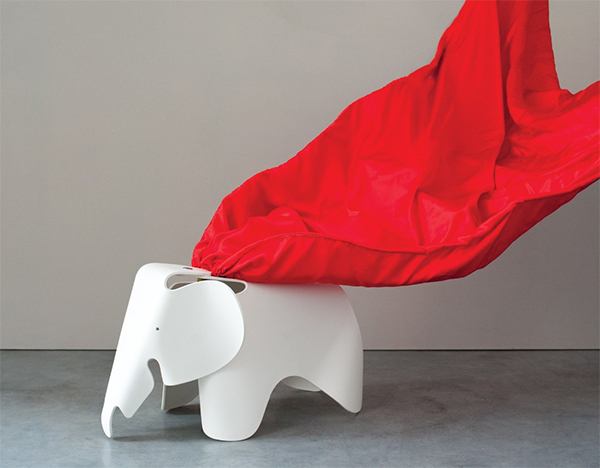 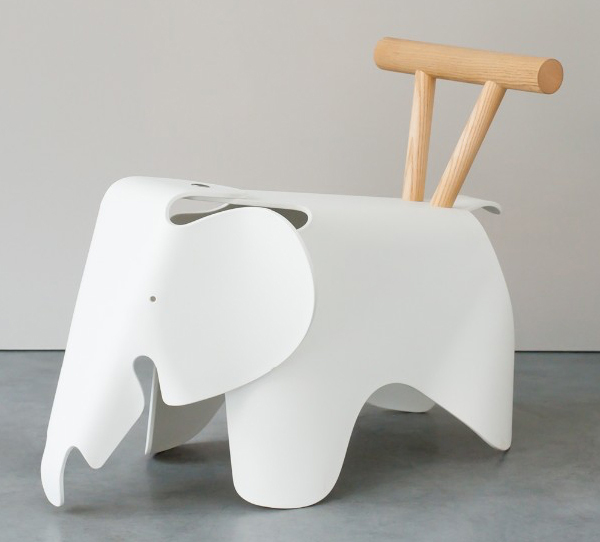 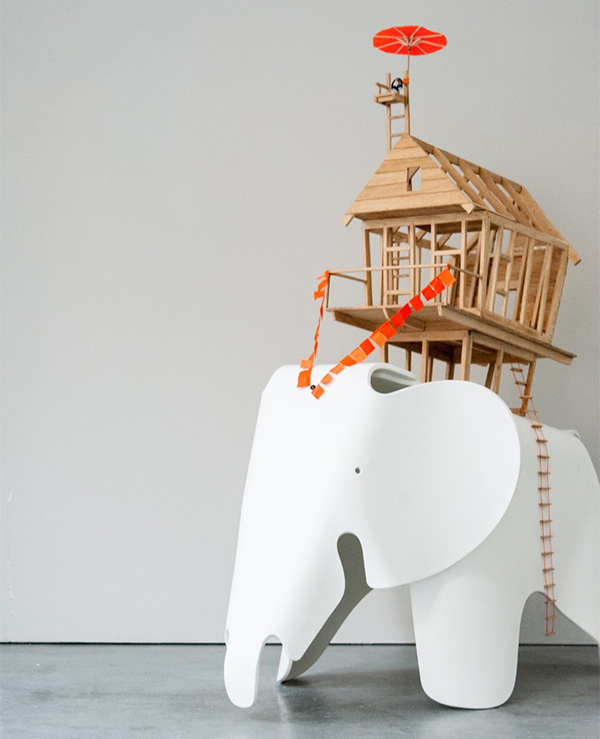 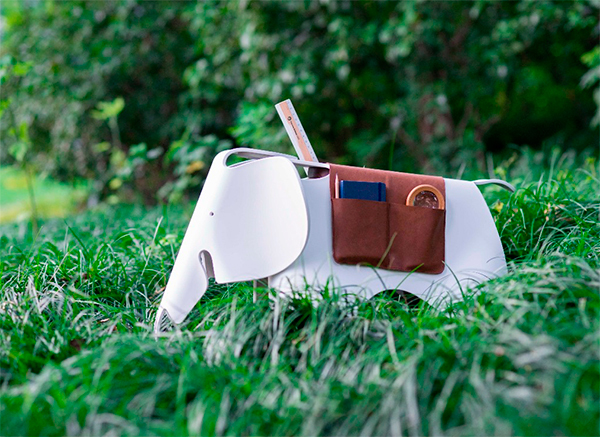 And Gensler made it into… Super Elephant! 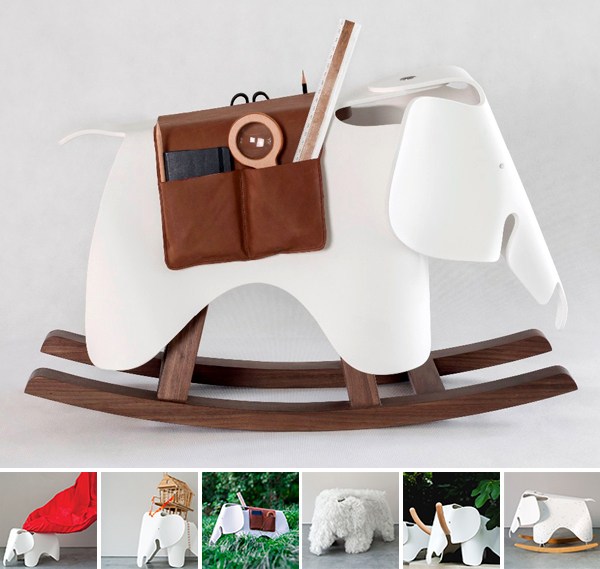 See the rest of the 21 variations (and bid on them for charity) here!